Business Experience: Former President and CEO of J.M. Huber Corporation, a privately-held, diversified company focused on engineered materials, natural resources and technology-based services (from 1994 to 2009); Managing Member of Mukilteo Investment Management Company, responsible for investments in gas royalty and real estate partnerships, private equity funds, leveraged buyouts and stock portfolios. Other Board Experience: Former Chairman and Director of J.M. Huber Corporation. Business Experience: Retired Managing Director (1997 to 2012) at Goldman Sachs Group Inc., a global investment banking, securities and investment management firm; also served as Advisory Director (2013 to 2015), and Partner-in-Charge, Midwest Region Investment Banking Services (2001 to 2010); prior thereto, various positions within Goldman Sachs (since 1987, except where noted). Mr. Gilbertson previously served as Managing Director at Travelers Group Inc. (1995), a financial services company; Associate, Mergers and Acquisitions at Morgan Stanley & Co. Incorporated (1985 to 1987), a financial services firm; Consultant, Corporate Strategy at Bain & Company (1982 to 1985), a management consulting firm; Assistant Treasurer, Corporate Banking at Chase Manhattan Bank (1979 to 1981), a commercial bank; and News Reporter at The Providence Journal Company (1978), a metropolitan daily newspaper. Other Board Experience: Director of Meijer, Inc.
Business Experience: Chairman of the Board of Dover (since 2016); Former CEO (from 2004 to 2008) and President and Chief Operating Officer (“COO”) (from 2000 to 2004) of Visteon Corporation, an automotive components supplier; former President of North America/Asia Pacific, Automotive Systems Group (from 1999 to 2000), President of Americas Automotive Group (from 1997 to 1999), and other senior management positions at Johnson Controls, Inc., an automotive and building services company. Other Board Experience: Director of Armstrong Flooring Inc. and Whirlpool Corporation. Former Chairman and Director of Visteon Corporation. 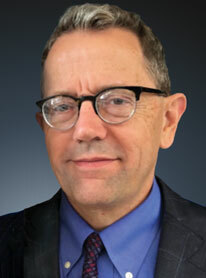 Former Director of Armstrong World Industries and Flowserve Corporation. Business Experience: Retired President of Lochridge & Company, Inc., a management consulting firm. Other Board Experience: Director of Knowles Corporation. Former Director of The Lowe's Company, Inc. and PETsMART Inc.
Business Experience: Former President and Chief Executive Officer (from 2010 to 2016) of Siemens USA, a global business focusing on the areas of electrification, automation and digitalization; former Managing Partner, Global Energy, Chemicals, and Power, and Managing Partner, Washington, D.C. office, and other roles at Booz & Company, Inc. (now known as Strategy&) and Booz Allen Hamilton, Inc., global consulting firms (1986 to 2010); former Associate, Energy and Industrials Practice, at Temple, Barker & Sloane, Inc., a management consulting firm (now known as Oliver Wyman) (1984 to 1985; 1980 to 1982): former Marketing and Strategy Manager at Brown Boveri & Cie (now known as ABB), a Swiss group of electrical engineering companies (1982 to 1984). Other Board Experience: Director of Liberty Mutual Holding Company, Inc.
Business Experience: President and CEO (since 2018) of Dover; former Chief Executive Officer (from 2013 to 2018) of CNH Industrial NV, a global manufacturer of agricultural and construction equipment, trucks, commercial vehicles, buses, specialty vehicles and powertrain applications; former Group Chief Operating Officer of Fiat Industrial S.p.A., a global capital goods manufacturer, and President and Chief Executive Officer (each from 2012 to 2013) of CNH Global NV; former Chief Financial Officer of CNH Global NV (2010 to 2012); former Chief Finance Officer & Head of Information Technology (2004 to 2010) of SGS Group, a multinational provider of inspection, verification, testing and certification services; and former Chief Operating Officer for North America (2002 to 2004) of SGS Group. Business Experience: Former Global Vice Chairman (from 2003 to 2010) of Assurance Professional Practice of Ernst & Young Global Limited, London, UK, an assurance, tax, transaction and advisory services firm; and prior thereto, various positions with Ernst & Young (since 1971). Other Board Experience: Member of the Board of Trustees of PNC Funds and PNC Advantage Funds (registered management investment companies). Business Experience: Former Senior Advisor, Center for Corporate Governance, of Deloitte & Touche LLP, an audit, financial advisory, tax and consulting firm (from 2009 until 2011); Managing Partner, Center for Corporate Governance, of Deloitte (from 2005 to 2009); Deputy Managing Partner, Innovation, Audit and Enterprise Risk, United States, of Deloitte (from 2002 to 2007); and Co-Leader, Sarbanes-Oxley Services, of Deloitte (from 2002 to 2005). Business Experience: Former President and Chief Executive Officer (from 2009 to 2015) of Harley-Davidson, Inc., a global motorcycle manufacturer; and former President and Chief Operating Officer (from 2006 to 2009), former Executive Vice President (from 2005 to 2006), former Corporate Vice President (from 1997 to 2005), former President of the Automotive Experience business (from 2003 to 2006) and President of the Power Solutions business (from 1997 to 2003) of Johnson Controls, Inc., a global manufacturer of automotive, power and building solutions. Other Board Experience: Director of Dana Holding Corporation and Constellation Brands, Inc. Former Chairman of Harley-Davidson, Inc. and former Director of Clarcor, Inc.
Business Experience: President of WinsCo Enterprises Inc., a consulting firm providing financial and board governance advisory services (since 2016); Former Executive Vice President and Chief Financial Officer (“CFO”) of Family Dollar Stores, Inc., a general merchandise retailer (from 2012 to 2015); former Senior Vice President and CFO of Giant Eagle, Inc., a grocery and fuel retailer (from 2008 to 2012); former President of Winsco Financial LLC, a financial and strategic consulting firm (from 2007 to 2008); and former Executive Vice President and CFO of Scholastic Corporation, children’s publishing and media company (from 2004 to 2007). Other Board Experience: Director of Domtar Corporation, SUPER VALU, INC. and Acuity Brands, Inc. Former Director of Plexus Corporation. Below is a summary of our committee structure and membership information. Click on each Committee to see their Charter. At Dover, we understand that our success depends on our reputation for ethical business performance. Each day, we are expected to perform our jobs honestly, diligently and with integrity. For this reason, we have developed the Dover Corporation Code of Business Conduct and Ethics (our "Code"). Our Code is designed to assist each of us in upholding our valued reputation by engaging in ethical, responsible and legal business practices in all of our operations throughout the world. You can also report any issues concerning Dover Corporation through the Dover Hotline, operated by EthicsPoint, Inc., an independent third party. To report by phone in the U.S., call 1 (800) 495-1775. To report by phone internationally, visit the Dover Hotline. If you wish to communicate with non-management directors or the board, please mention that request in your communication to Dover or through EthicsPoint. All matters reported through the Dover Hotline or the Dover Corporate Law Department under these provisions will be subject to Dover's "Communications and Complaints – Policy and Procedures" which can be accessed here: Dover Corporation Communications and Complaints - Policy & Procedures.